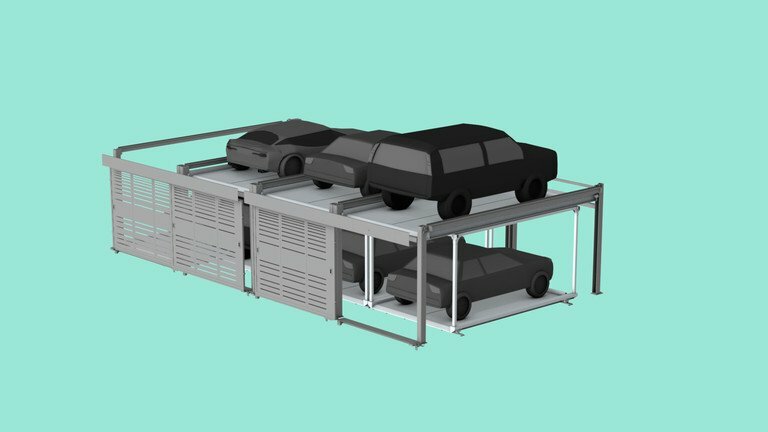 The UP car parking system creates parking spaces economically. 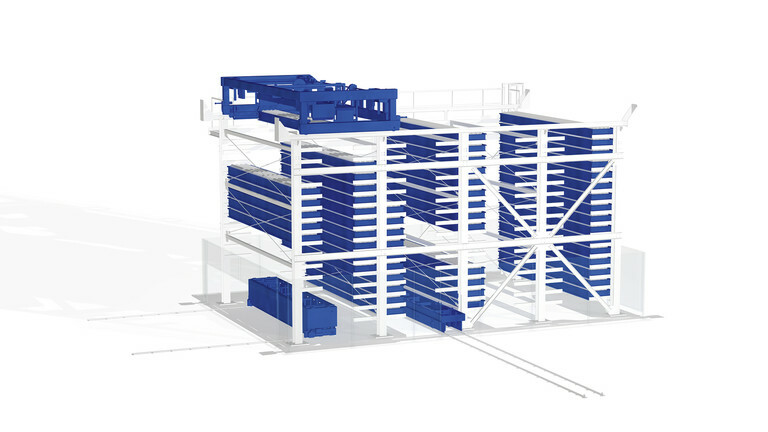 Examples include commercial buildings, office buildings and buildings accessible to the public. 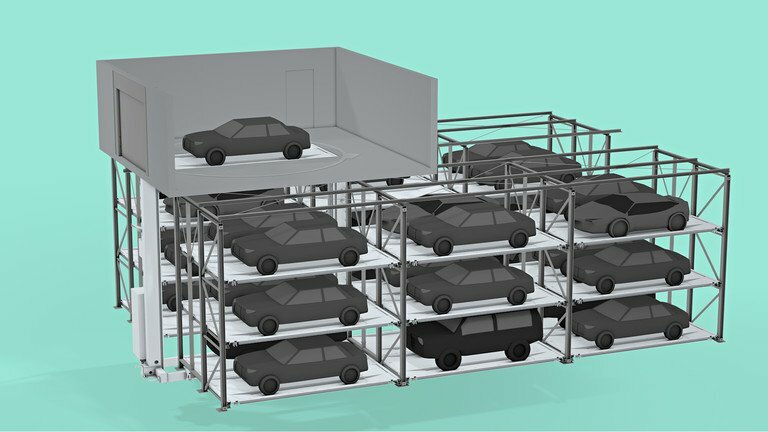 Cars are arranged side by side and behind one another on several levels, making maximum use of a small space. 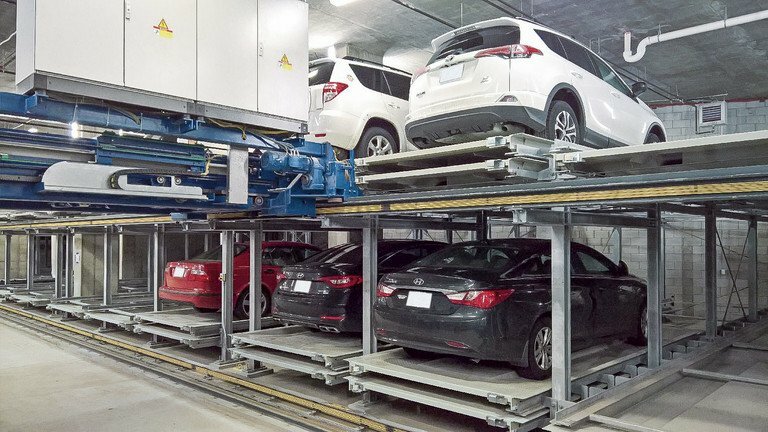 The parking spaces in the self-supporting steel structure or concrete structure are accessed by a specially designed storage and retrieval unit that travels over the entire length of the car parking system and has an integral lifting unit that enables it to reach all levels. 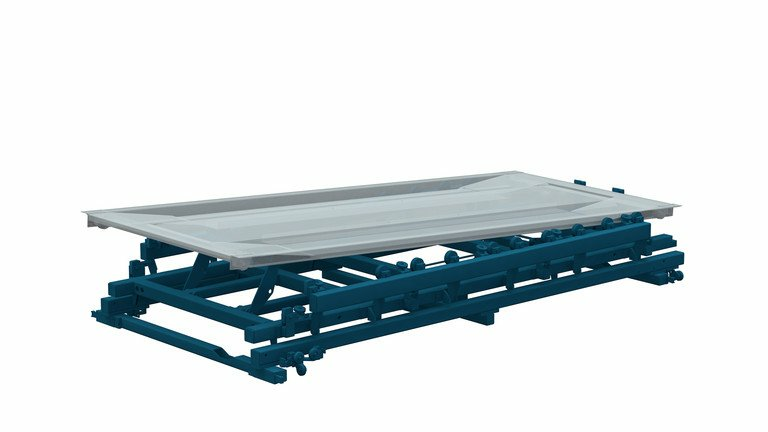 The system lifts and lowers while moving longitudinally. 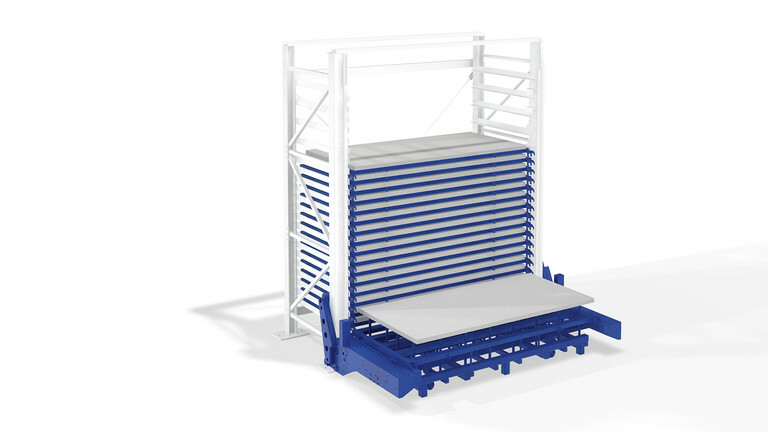 The combination of movements in a single unit saves a lot of space and permits fast access times. 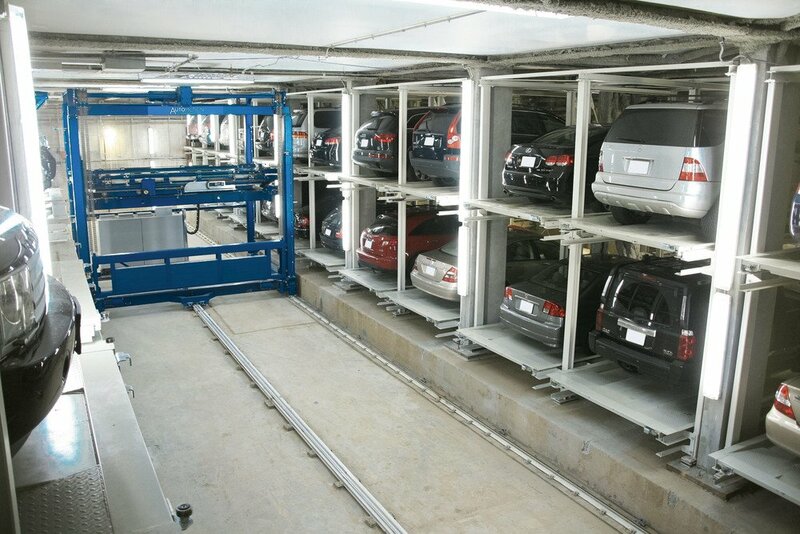 In the UP system the parking spaces are located to the right and left of the storage and retrieval unit. 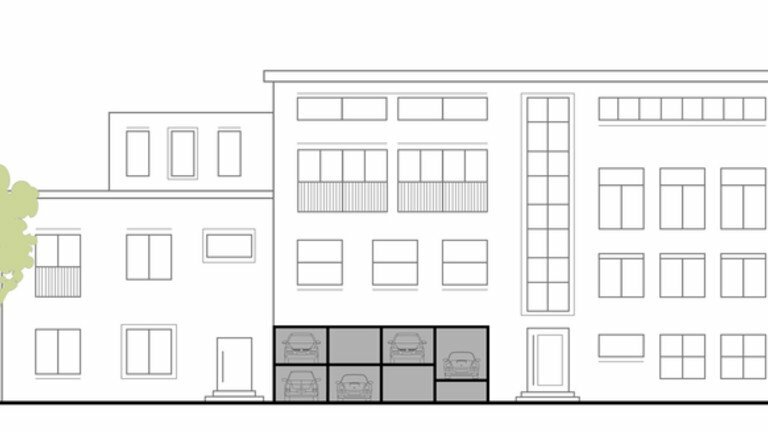 Up to two vehicles can park one behind the other on each side. 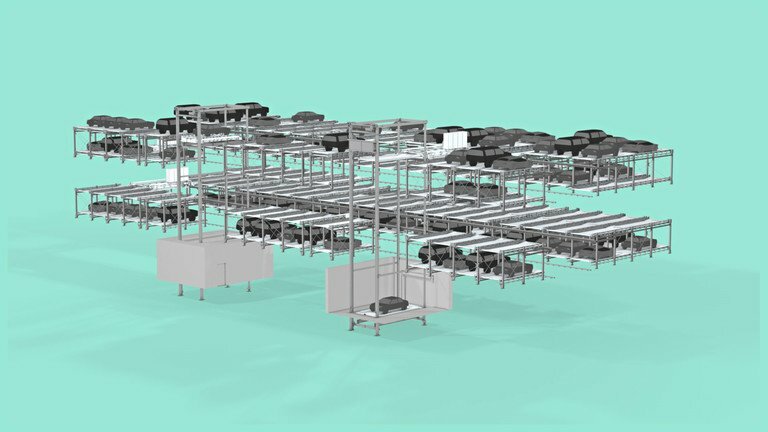 In the longitudinal direction, there is almost no limit to the number of vehicles. 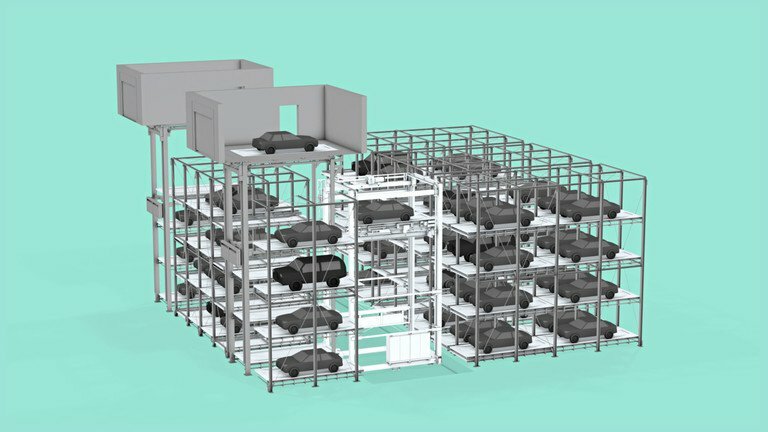 If there are more than 100 spaces and/or if the building exceeds 20 m in height, a second storage and retrieval unit is recommended. 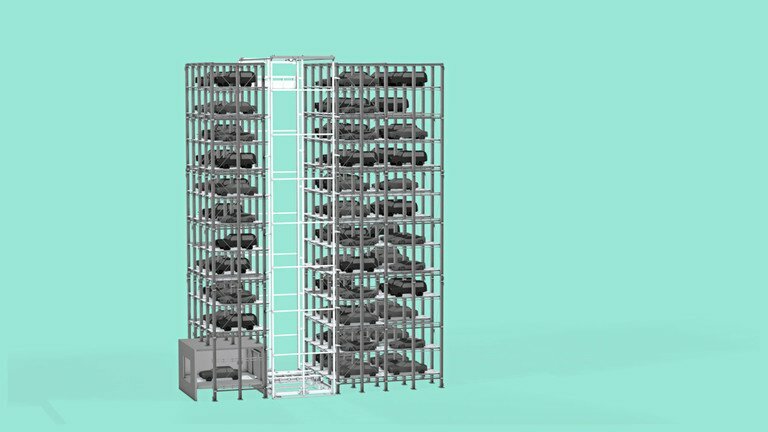 For greater efficiency and speed, the transfer room of the UP car parking system should be located as close as possible to the centre of the longitudinal structure. 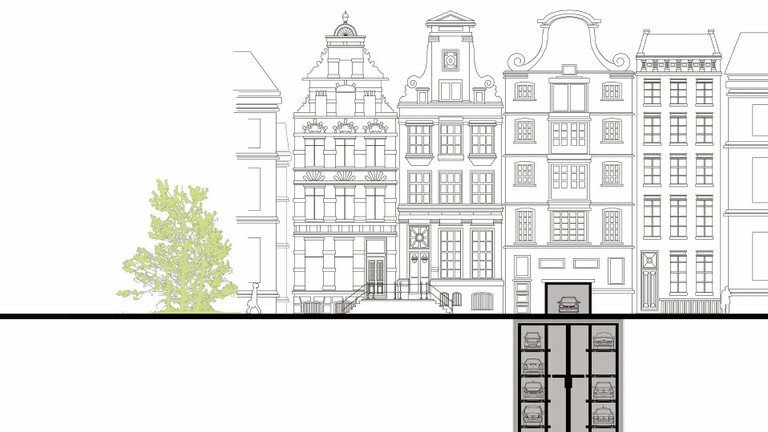 This minimises the transport distances. 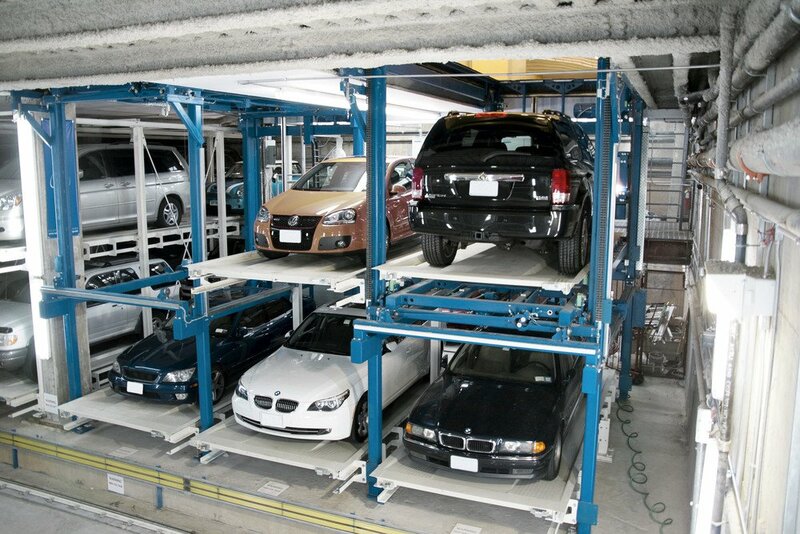 Our software distinguishes between long-term and short-term parking and sorts the vehicles accordingly. 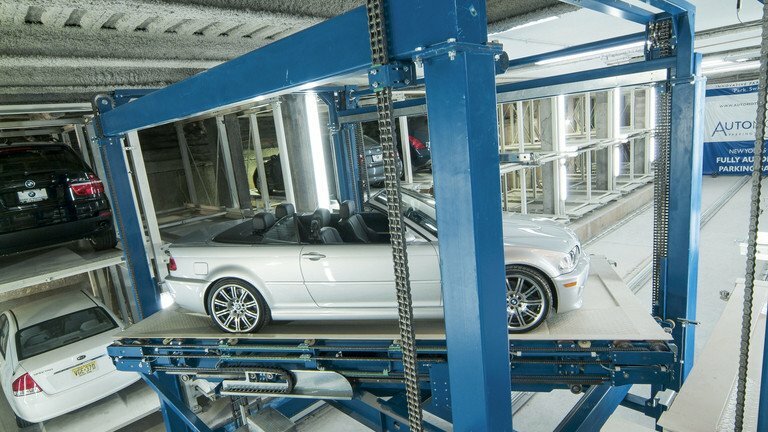 When a vehicle has to be retrieved, this quick-change system provides immediate access to a car, even if it is paired with another one. 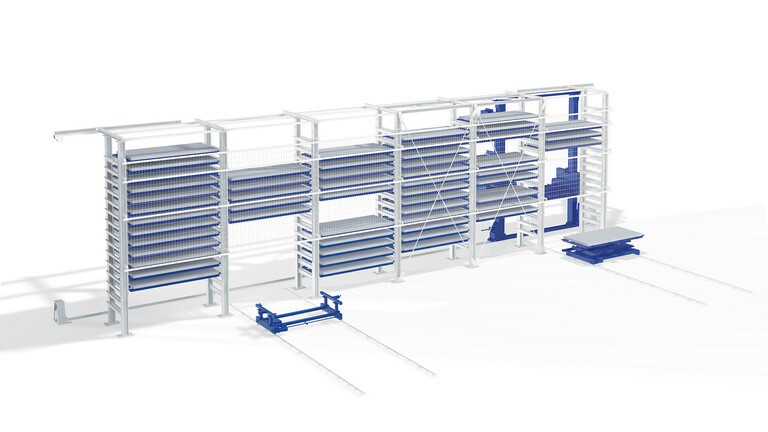 At peak times the control system reacts and prevents long waiting times. 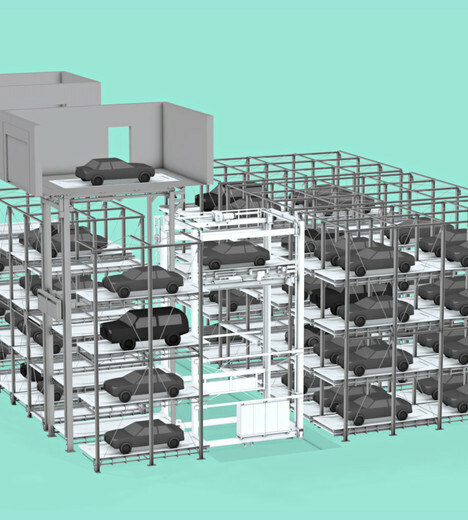 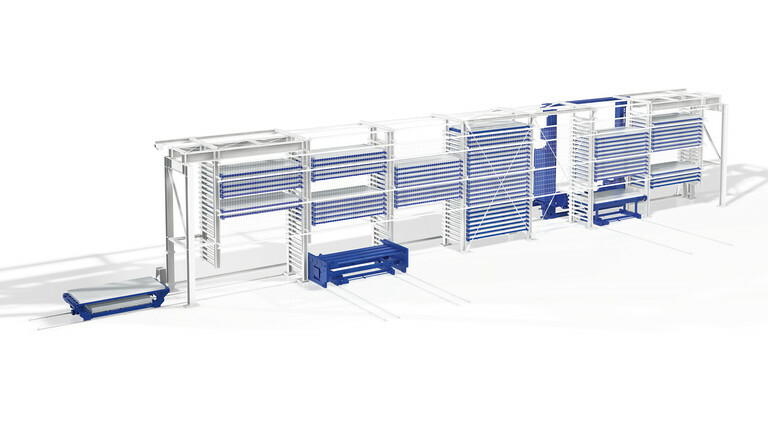 For greater convenience, a rotating platform inside the transfer room or on the storage and retrieval unit is available as an option; besides making the fully automated car parking system even safer, it simplifies handling. 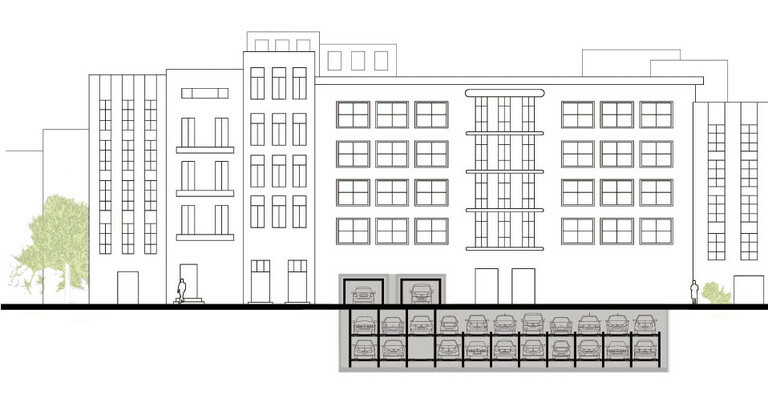 The turntable always delivers cars facing in the driving direction. 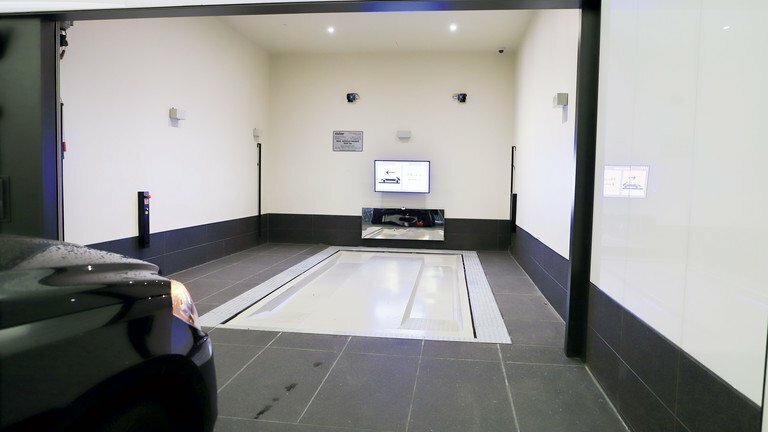 Users can get in and drive off without having to manoeuvre. 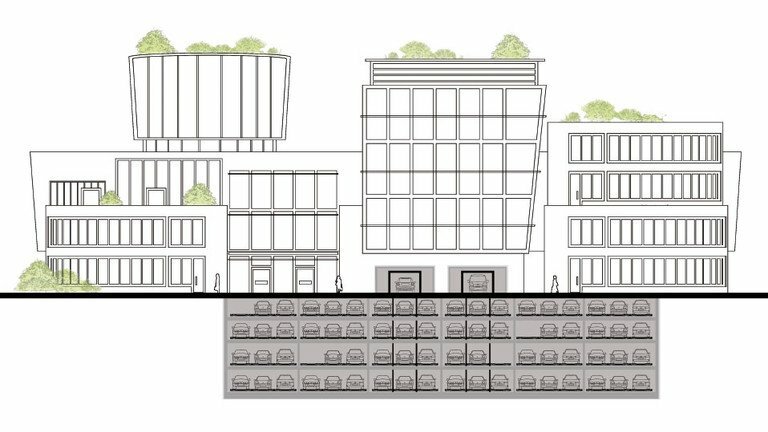 The turntable also creates more planning latitude for architects, by making it easier to adapt the entry area to the building. 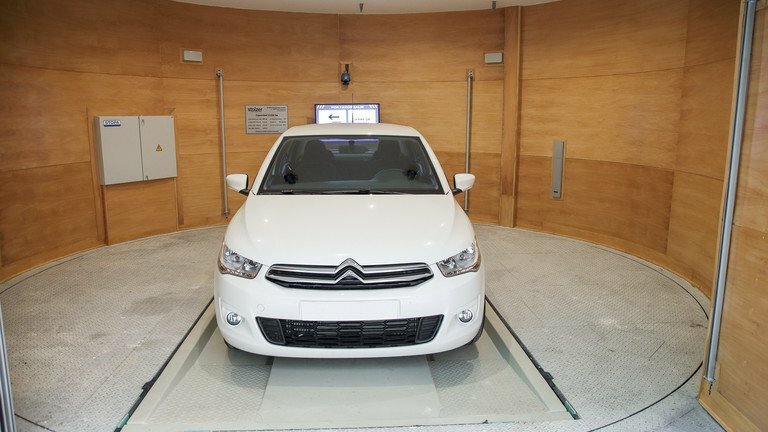 Laser and infrared sensors ensure maximum safety for people and cars. 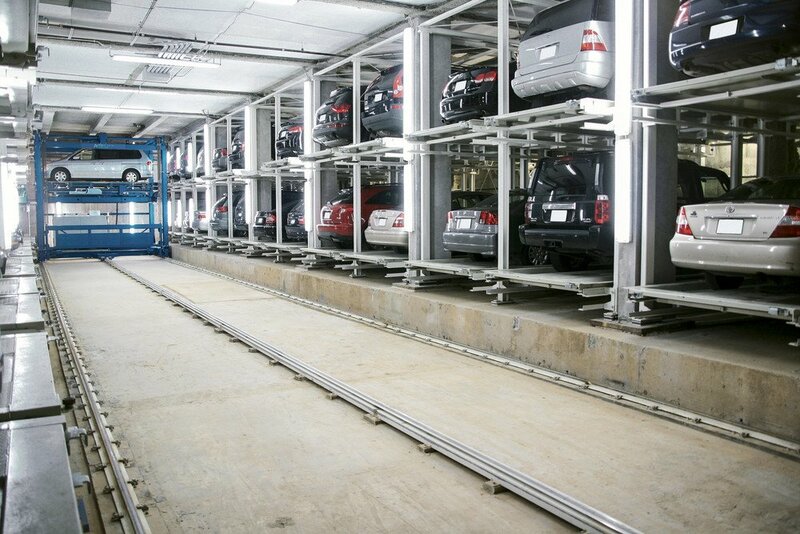 For example, the system scans each car before it is parked to make sure that no one is still inside. 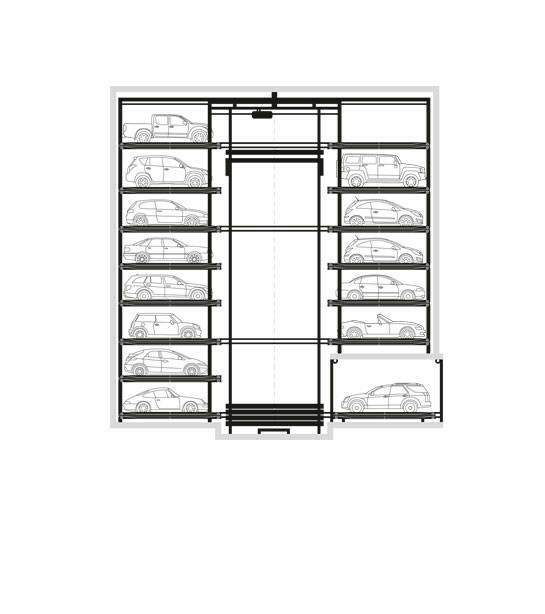 It also continually ensures the minimum distance required between each car and the car park structure. 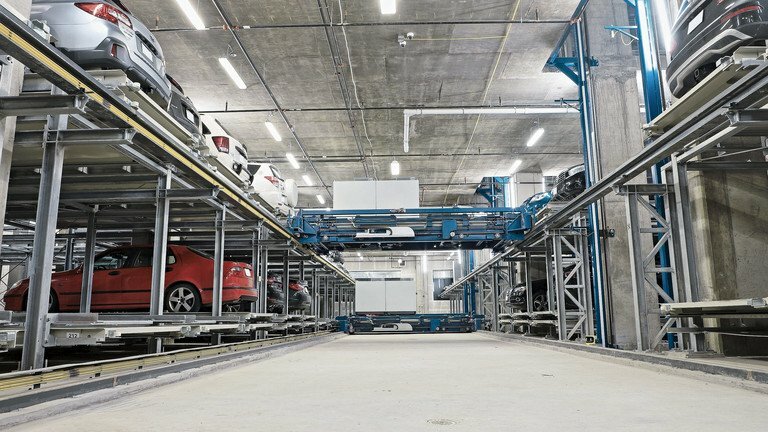 Regardless of size, no vehicle will make contact. 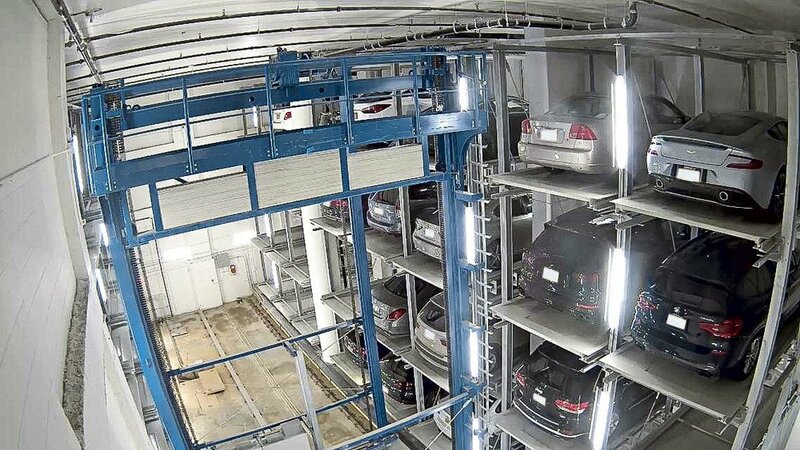 The parking system auto- UP is the universal parking system, that enables you to build more parking places more economically in office buildings, hotels, residential buildings or public parking systems. 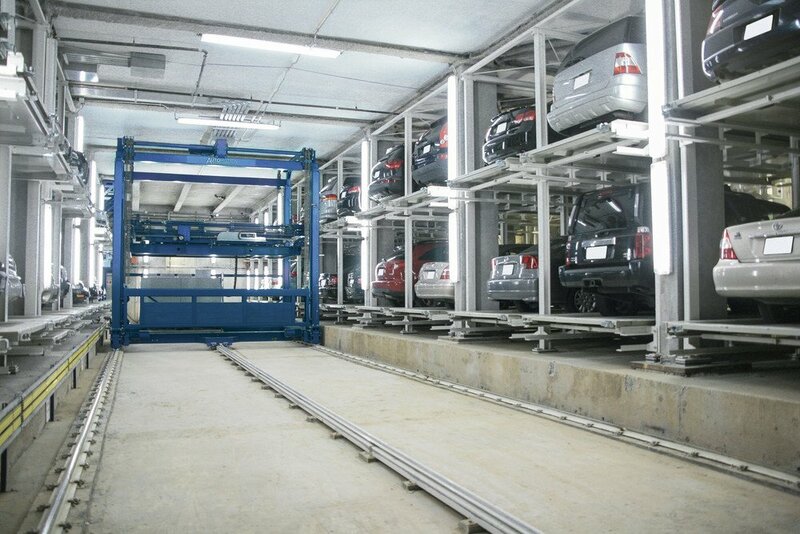 About 100 parking places for various vehicle heights can be handled by only 1 storage and retrieval unit in a max. 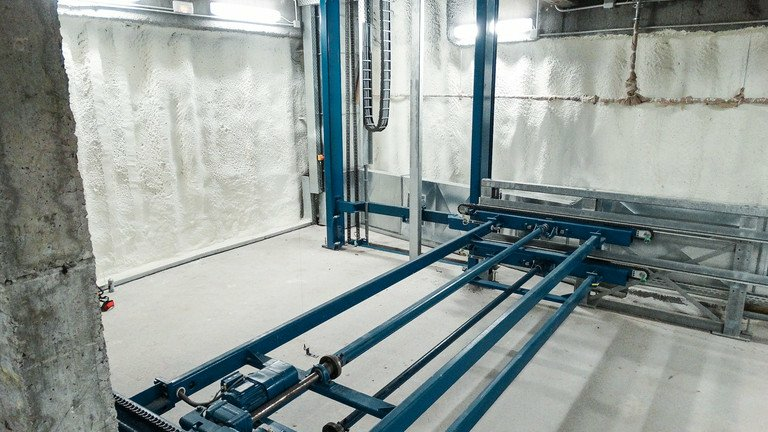 height of 20 m. The rack structure can be built above gound, underground or in a mixed solution. 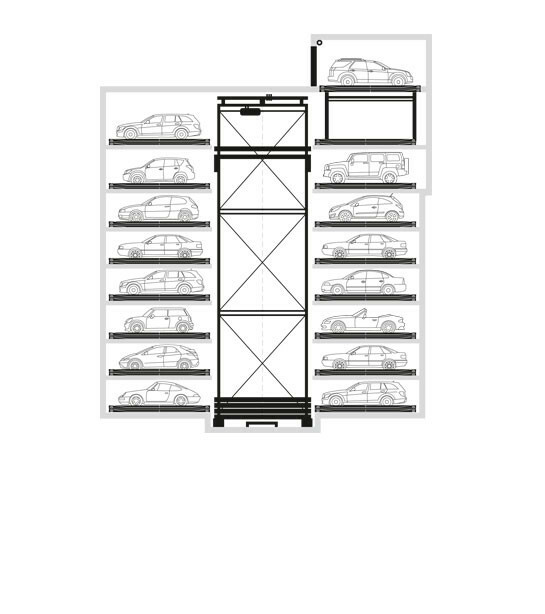 The parking places can be located either in a free standing steel rack structure or in a concrete structure with intermediate slabs. 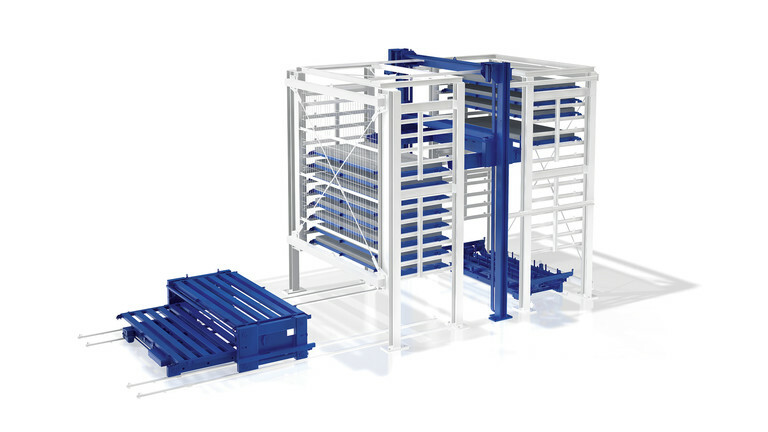 A pallet quick change solution enables short cycle times, even in a double row arrangement with 2 vehicles behind each other. 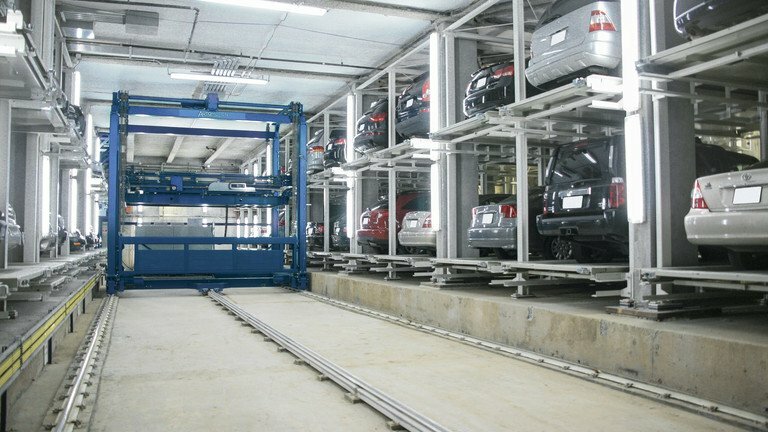 The vehicles can be parked and retrieved in driving direction. 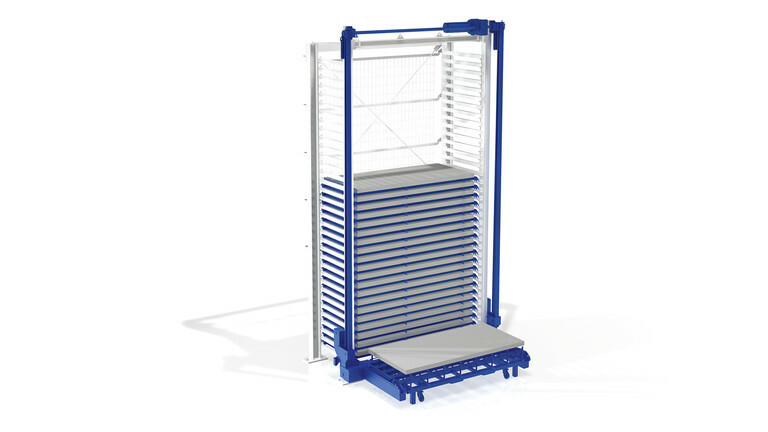 Combined lifting, lowering and longitudinal movement. 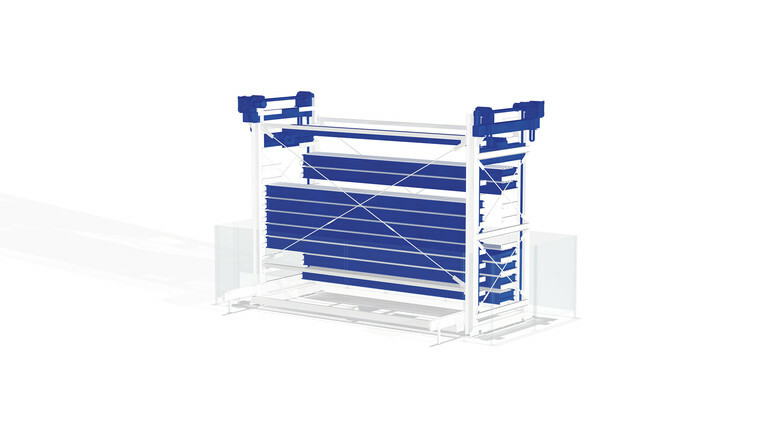 Stay in touch with us and get the latest from STOPA. 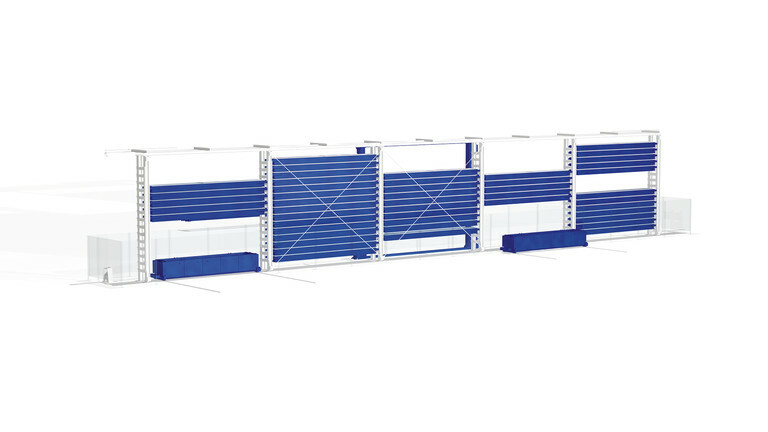 Stay informed with product updates, launches, news, trade shows and much more. 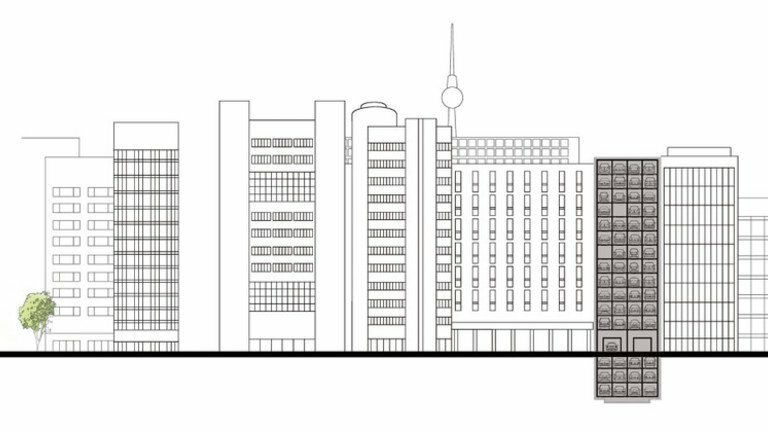 © 2019 STOPA Anlagenbau GmbH | All rights reserved.